While many around the world are celebrating Easter Sunday, some of us are commemorating today as the 102nd anniversary of Bram Stoker’s Death. So what better way to honour Bram’s Death Day than by briefly exploring the Easter message of blood, life, death and resurrection in Dracula? Three key characters who experience this journey in distinctly different ways are Lucy, Mina and Dracula himself. Mina’s slow transformation into a vampire is very different from Lucy’s. Mina is bitten by Dracula and forced to drink his blood. This is a ritual Van Helsing calls “The Vampire’s Baptism of Blood”. Dracula offers Mina eternal life through the drinking of his blood. The symbolism to Communion is obvious. What is interesting about Mina is that she starts to change into a vampire without physically dying. She is therefore turning into a living vampire. Her vampiric transformation is stopped just in time by the death of Dracula. We are never told how Dracula became a vampire. Was he bitten like Lucy? Was he involved in a Vampire Baptism like Mina? Did he learn the secret to vampirism at the Scholomance – the Devil’s school? All we know is that Dracula was once a human Prince and warrior and then sometime, somehow, he became a vampire. Dracula’s death also poses a conundrum. All the vampires in the novel are killed by having a wooden stake pierced into their heart. Dracula’s death is slightly different. Jonathan first slits Dracula’s throat and then Quincey stabs Dracula in the heart with a metal knife, not a wooden stake. Dracula’s body crumbles and vanishes, but is he really gone? Could Dracula have survived his destruction? If you’ve ever read a vampire book or have seen a vampire movie then the answer is a definite YES! Vampires are really hard to kill and the King of the Vampires is especially hard to keep nailed down. Since it is Easter, we should explore another way that Dracula can be reborn and that is through the birth of a Son. Van Helsing calls Dracula “the father or furtherer of a new order of beings, whose road must lead through Death, not Life”. A year after Dracula’s death, Mina gives birth to her and Jonathan’s son. They name him Quincey to honour the fact that Quincey Morris died to save Mina. Yet many questions remain. Quincey’s mother is someone who has had intimate blood relations with a master vampire and almost became a living vampire herself. Can she ever be truly free of her curse? Does her blood carry any vampiric taint? Could some tainted vampiric blood have been passed onto Quincey? Has Dracula “furthered” or “ fathered” the vampiric curse through Quincey? If Mina is fully redeemed by the death of Dracula then there is no issue with Quincey. 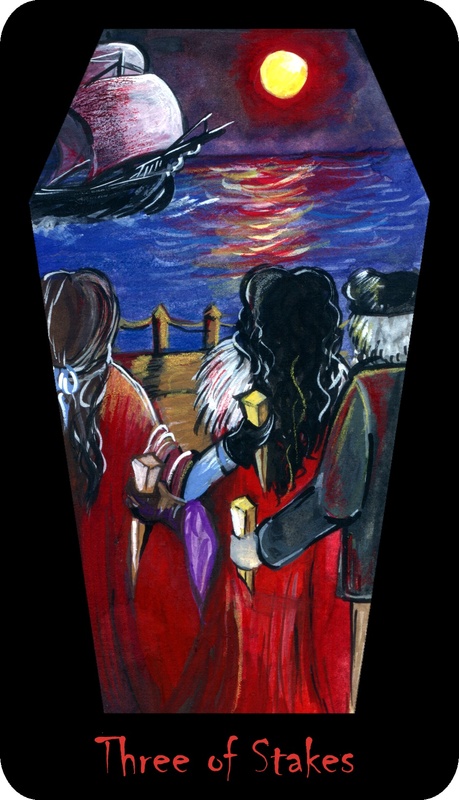 However, if she isn’t fully redeemed …..
Bram may have left this world, but Dracula, his most famous creation, lives on.